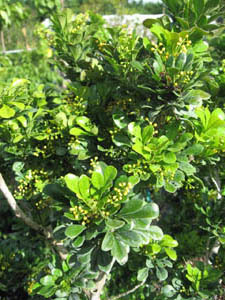 This aromatic shrub is a member of the mahogany family. 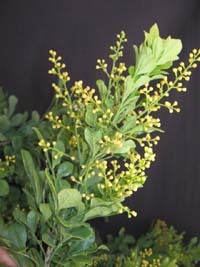 The scented yellow blooms can be enjoyed most of the year and they are very sweetly scented. 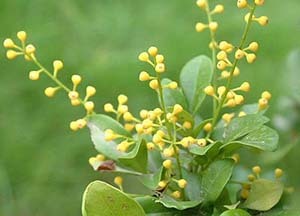 The flowers are little yellow balls that do not open up. 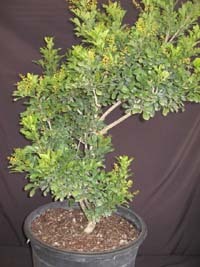 Aglaias are easy to grow, but they are kind of slow growers. They can grow anywhere from bright filtered light to full sun. They should survive minimum temperatures in the upper 20's for a few hours, but it is best to avoid freezing temperatures. 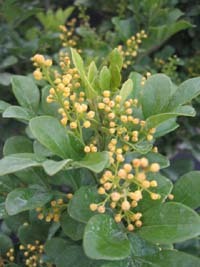 It is an upright grower and resembles an orange jasmine. This is a rarely offered plant and in our opinion a must have! From time to time, we hear customers saying that Aglaia is not fragrant, but the truth is that they are very fragrant under certain conditions. 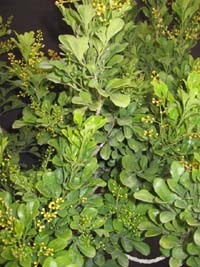 Most people tend to associate Aglaia with other fragrant plants that are fragrant as long as they have open flowers. Aglaias are a little different, the fragrance seems to come and go during the day. Most people stick their noses to the flowers and get nothing, a little bit later you can smell the fragrance just by walking near the plants. I'm not quite sure what causes the fragrance to be released, but I suspect that air humidity plays a big factor, followed by temperature and the amount of light. Aglaias don't go dormant in South Florida and they keep blooming throughout the year. They stay outside and we very seldom get freezing temperatures.